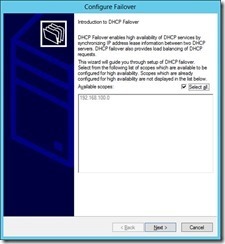 But there is this big question Did you Know ? 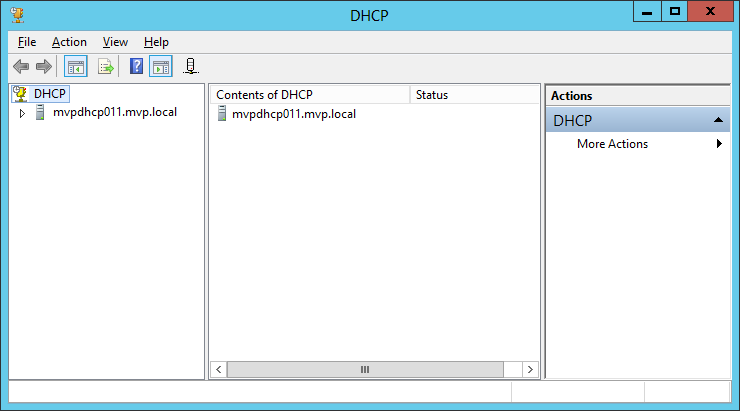 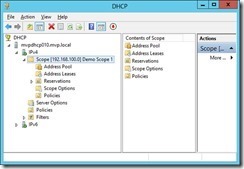 The DCHP Role is now installed. 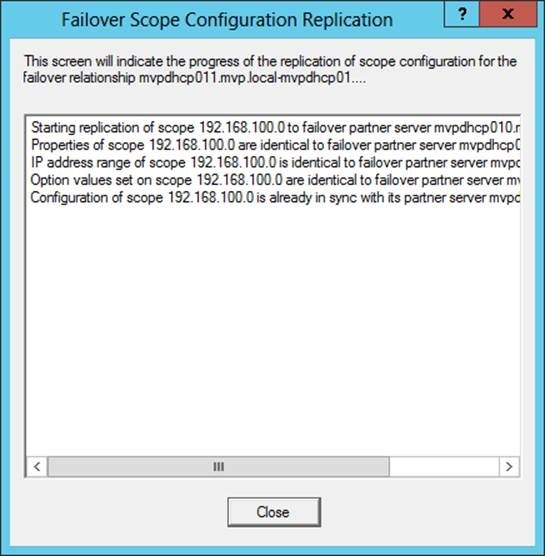 But Sure you can setup this with powershell easy and fast. 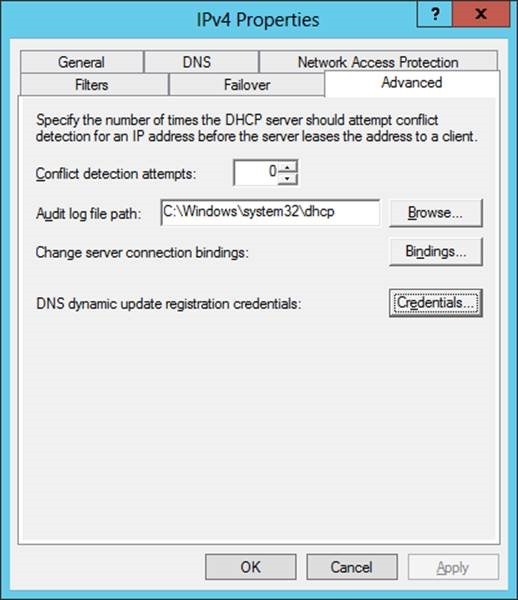 or both options at the same time. 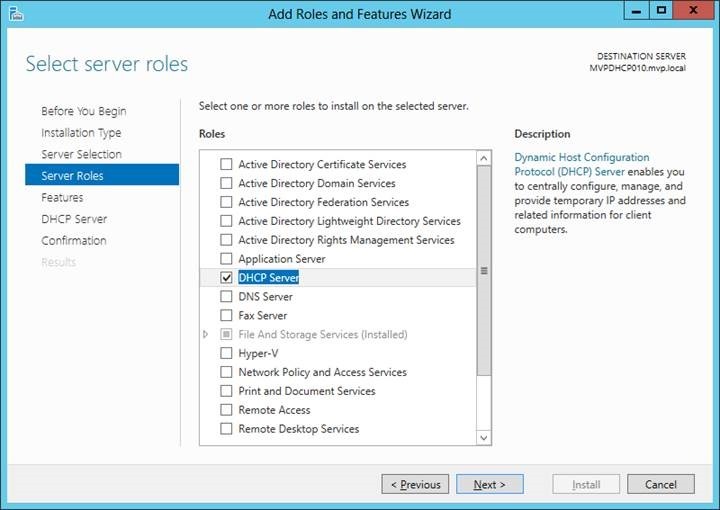 now that the roles are installed we can start. 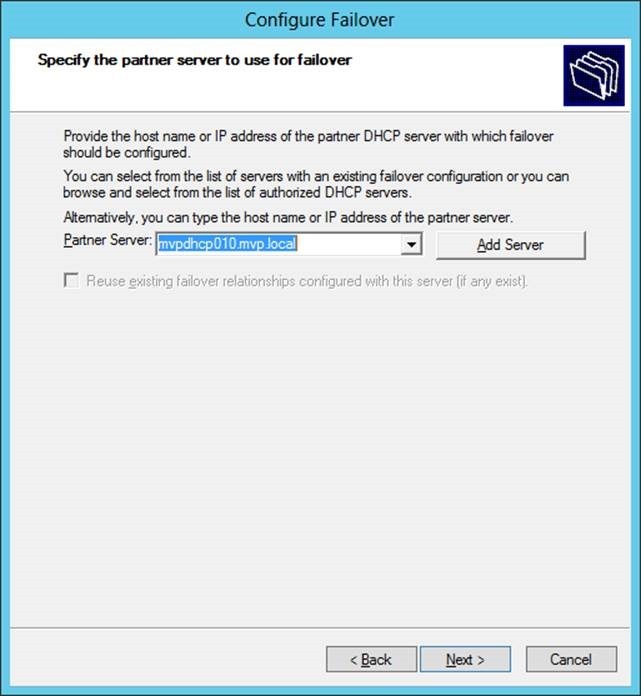 Remember I use two servers in this demo and on both you should install the roles ! 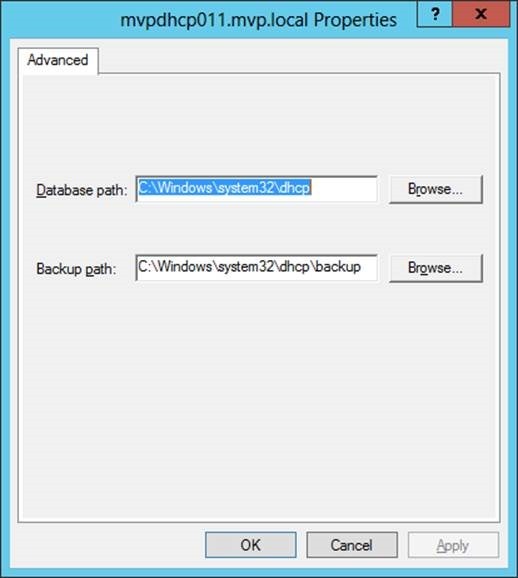 The first two things I would do is change the database backup path to your location or just leave it to the designed location. 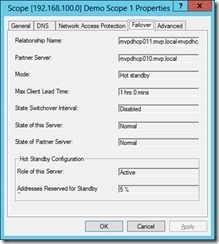 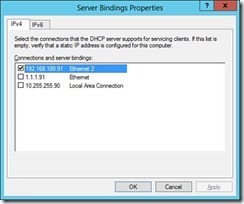 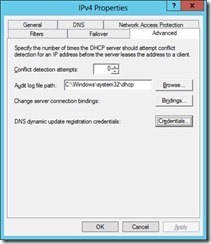 The Second part is change the binding of the DHCP server if you have multiple IP’s on the machine you should use only the IP address that the DHCP should use. 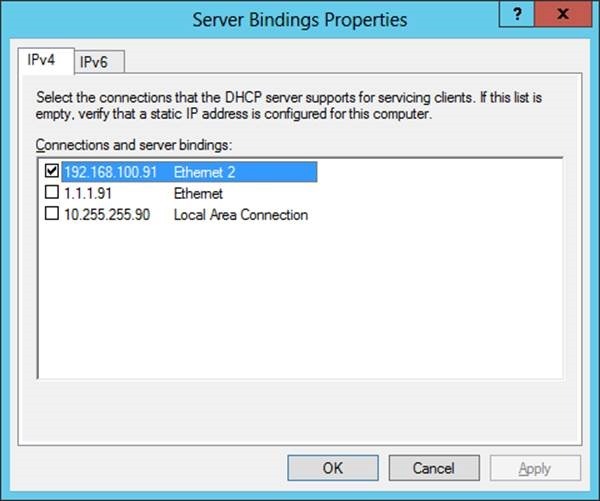 the following example, two DHCP servers simultaneously provide IP addressing to clients on a single subnet. 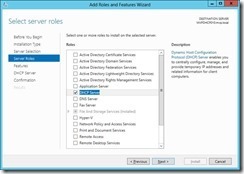 The wizzard does the configuration and you are done. 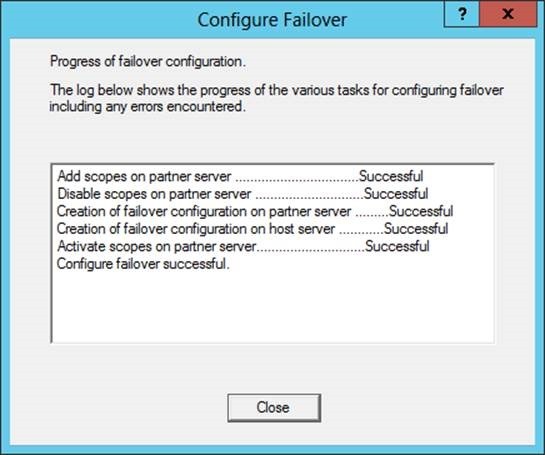 the config is done on both servers. 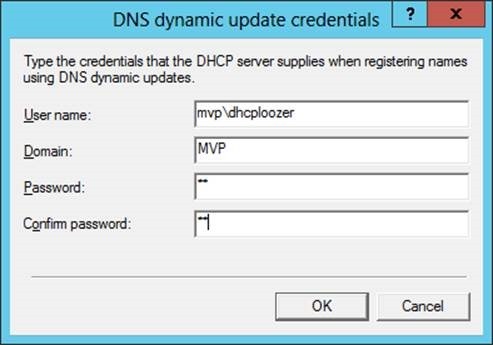 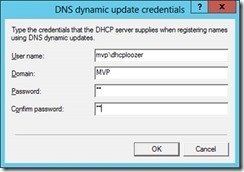 If you want to make use of dynamic updates you need to configure a service/user account that can register items in the DNS server. 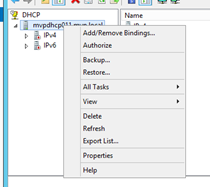 in the advanced pane you can change this. 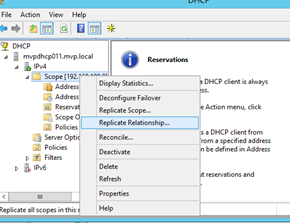 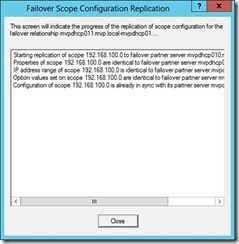 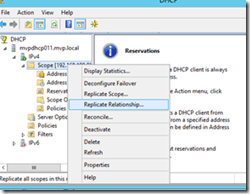 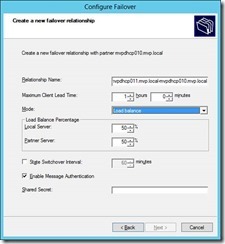 Go to the replication relationship and you can see the configuration. 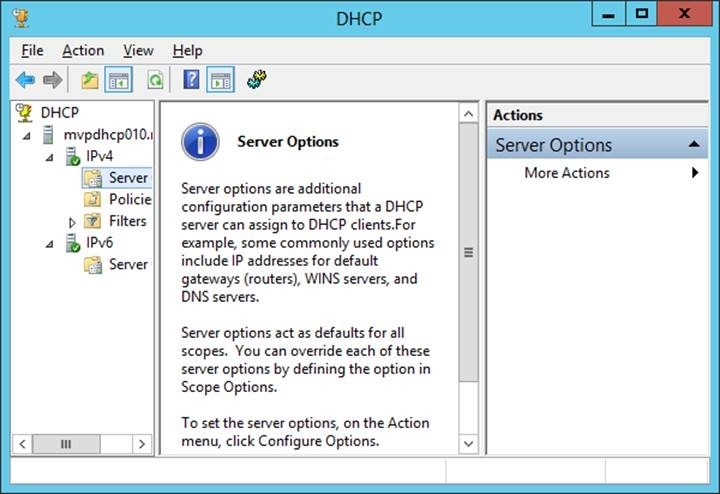 But is is just two dhcp servers and how does the cluster fit in ? 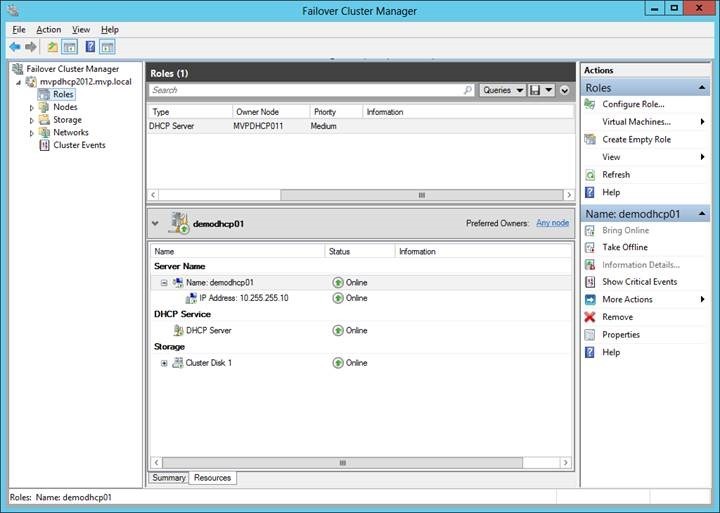 still there are two servers to manage and it can be in two data centers but what if you already have a fine datacenter and you can use clustering. 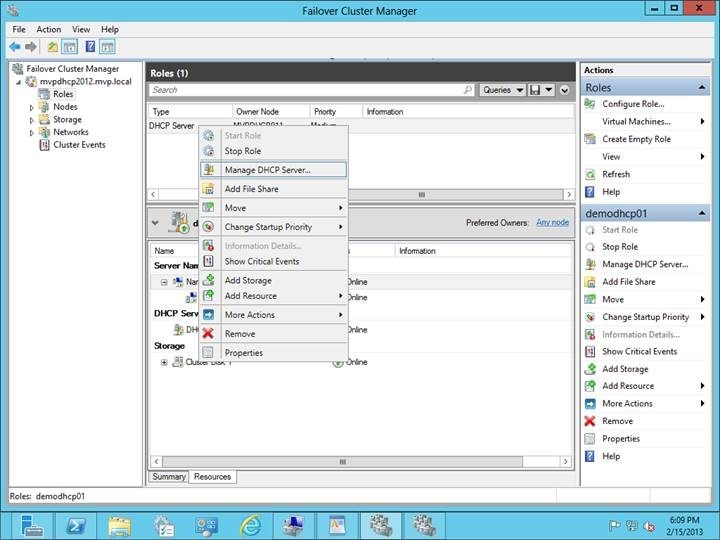 In this case I will not show you how to create a cluster. 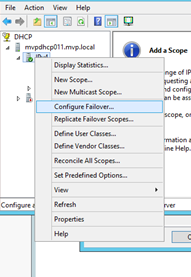 you can see this in my other blog posts. 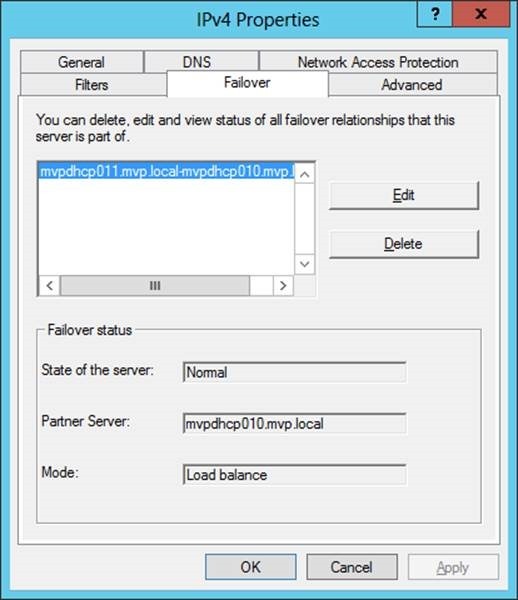 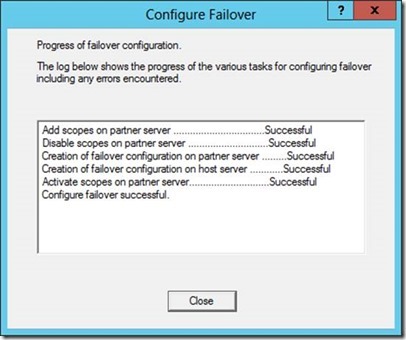 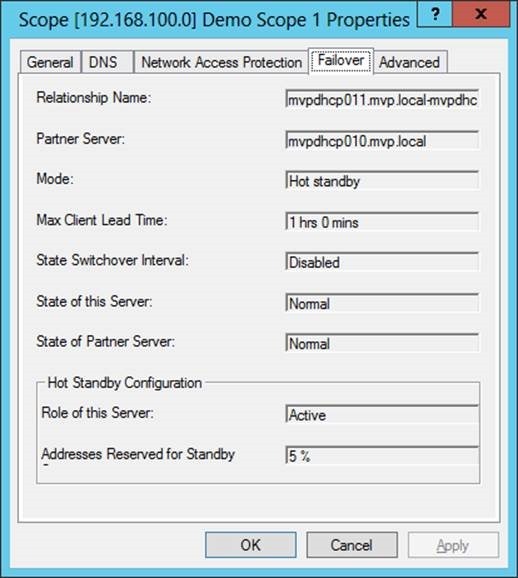 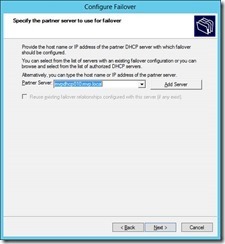 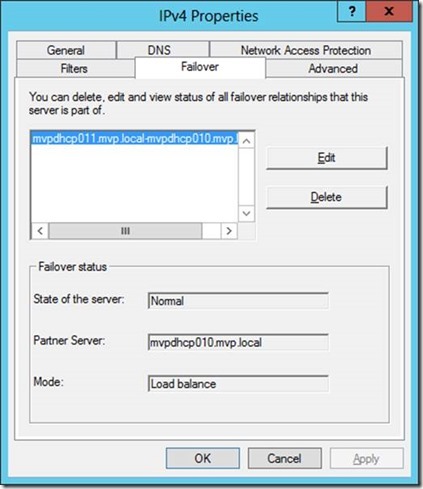 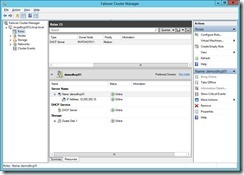 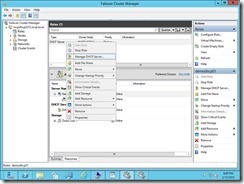 Start up the failover manager and add roles and select the dhcp server and the wizard installs the dhcp role n the cluster. 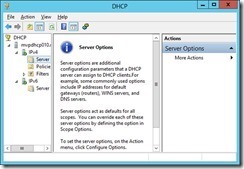 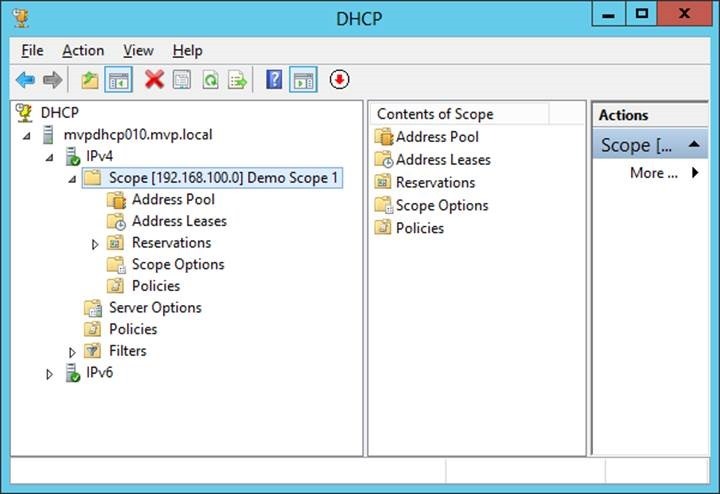 you will need a dhcp server name and IP and a disk that holds the DHCP database. 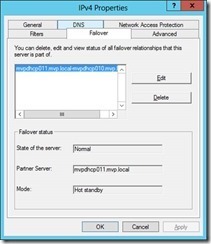 check http://www.bing.com/toolbox/webmaster/ the webmaster toolkit can help you. 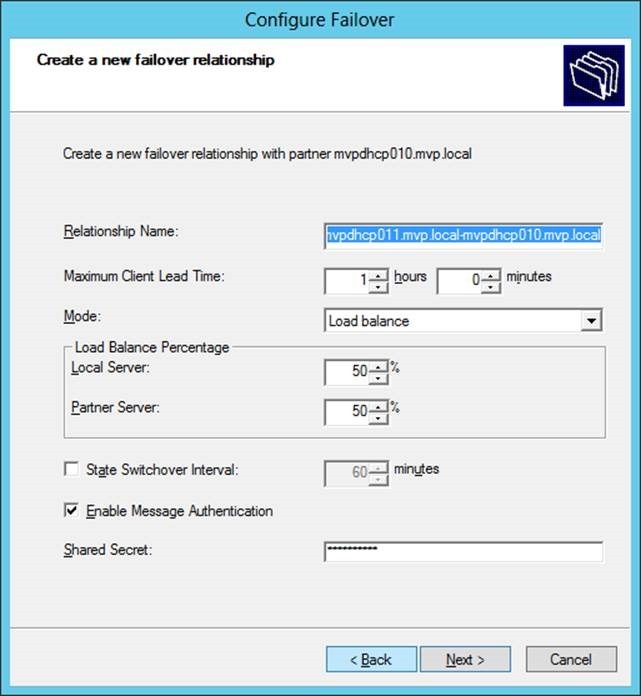 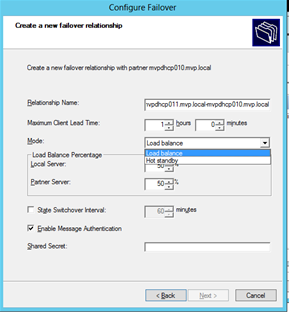 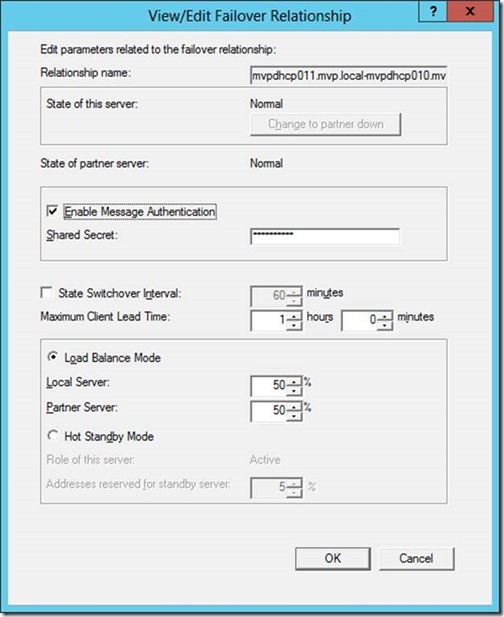 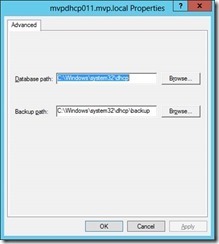 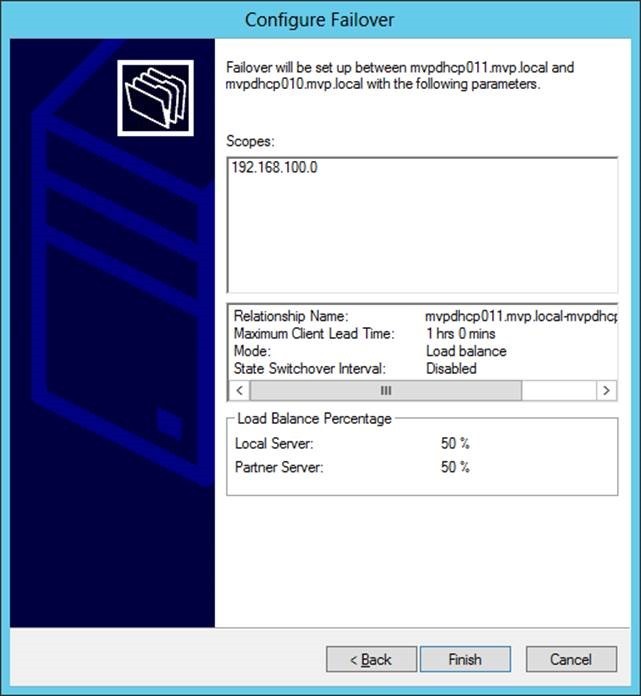 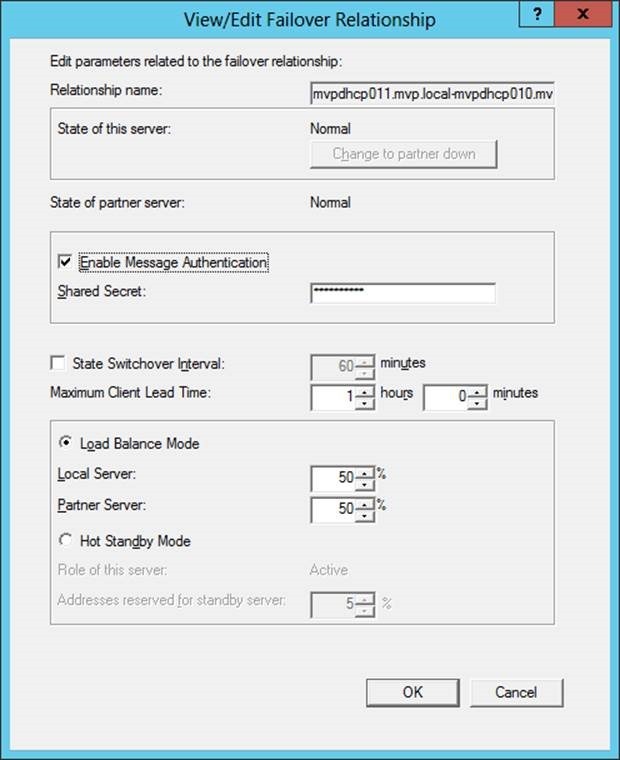 Pingback: Microsoft server 2012 , Is it enough for my business?